The Change to AMA with a Fund Manager and More! 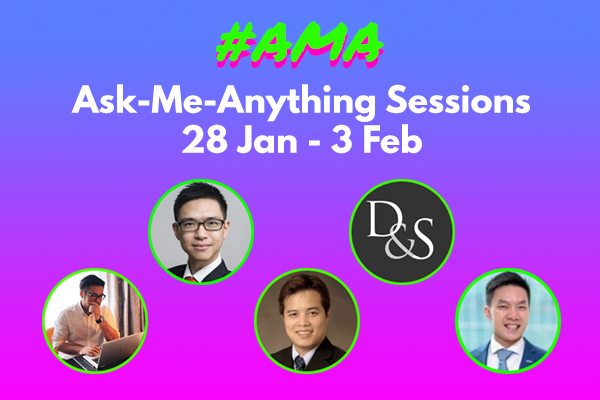 Ask what you’ve always wanted to ask a Fund Manager and More, with our new AMA sessions! Feel free to ask them Anything related to their channels! 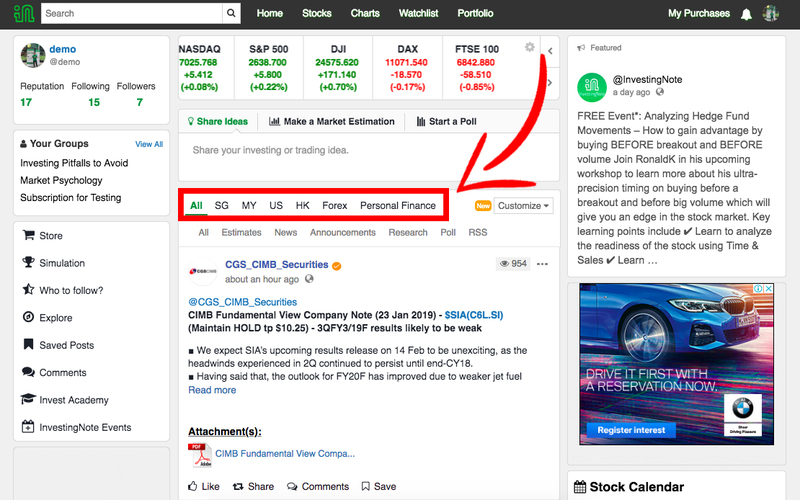 Simply login to Investingnote.com, go to respective channels from the main feed and ask away on their respective #AMA posts in the comments section! You will be notified when they will reply you! *Year-End Giveaway: Win, Win & Win! It’s near the end of the year and we’re teaming up with SGX to have one final giveaway for this Holiday season! Just take this simple, 4-question Grand DLC Knowledge Quiz and stand a chance to win $20 Capitaland Vouchers! There will be a total of 10 lucky winners! In order to be selected as one of the 10 lucky winners, you will need to get all 4 questions correct on the first try! 1) Refer to our email sent on 13th November, Tuesday, 9pm with the subject title: Benefit from both bull and bear markets with the new Single Stock DLCs! 3) Answers are all there! This giveaway ends on Friday, 23rd November, 12pm. Late entries after this date will not be accepted. Re-attempts of the quiz will also not be accepted. We will contact 10 winners directly via FB messenger. Dis’ the season to be jolly! Happy Holidays everyone! HUAT AH!!! 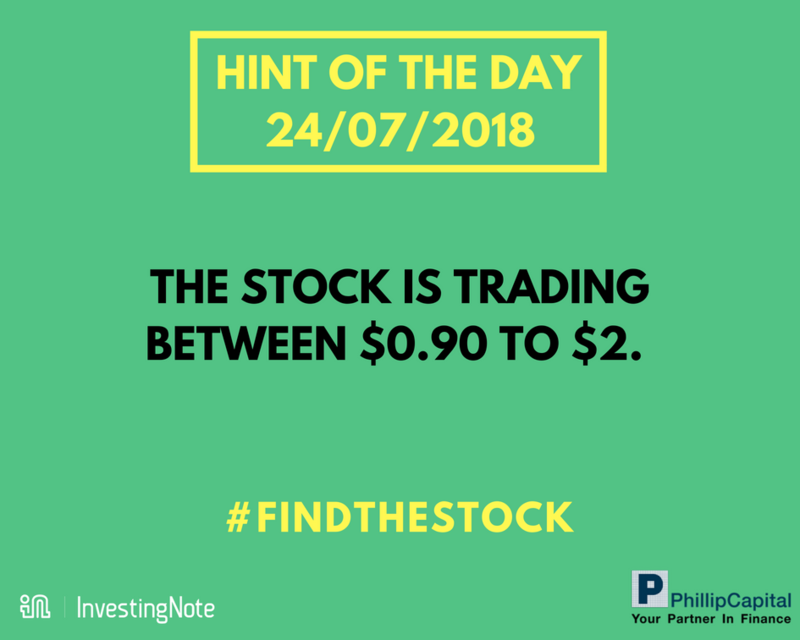 This post, Observations At Sheng Siong Outlet was originally posted here. 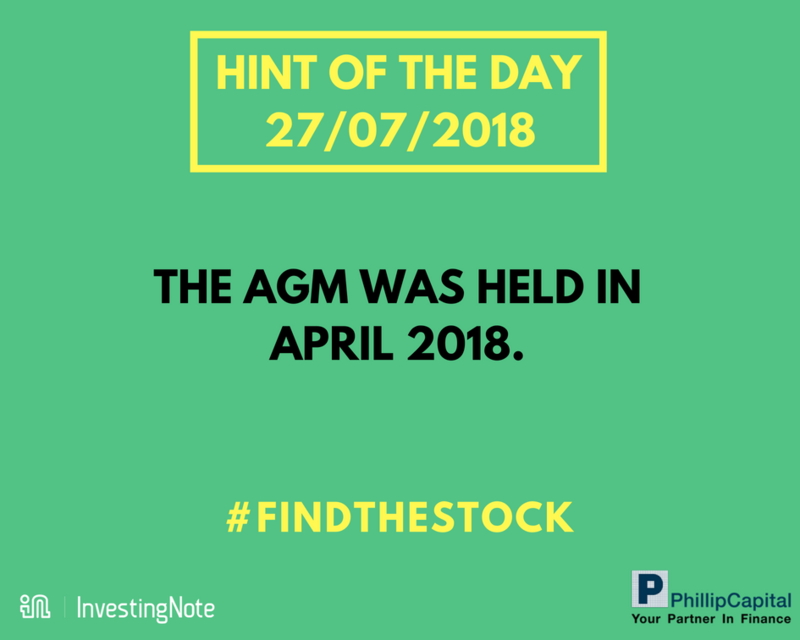 The writer is a veteran community member on InvestingNote, with username known as FA_TA. 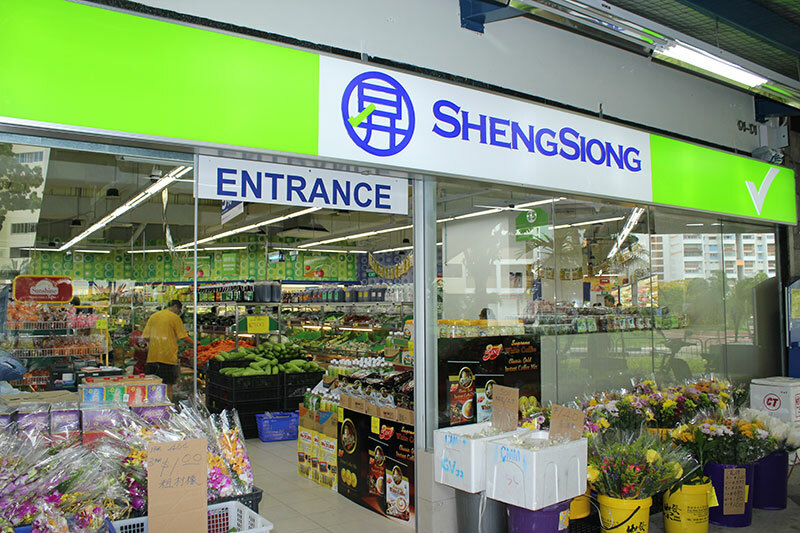 I just went to one of the Sheng Siong outlet in jurong west and was surprised to see some small traffic despite it being lunch hours. This article, Interview With The Trendlines Group conducted by T.U.B Investing was originally posted on TUBInvesting.blogspot.com. For those that have been waiting for this interview, sorry for the delay. 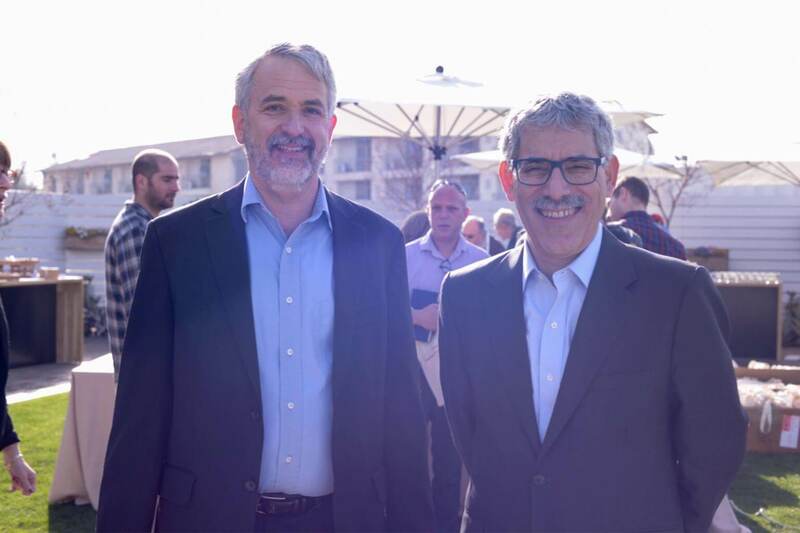 Here it is – An Interview with The Trendlines Group! 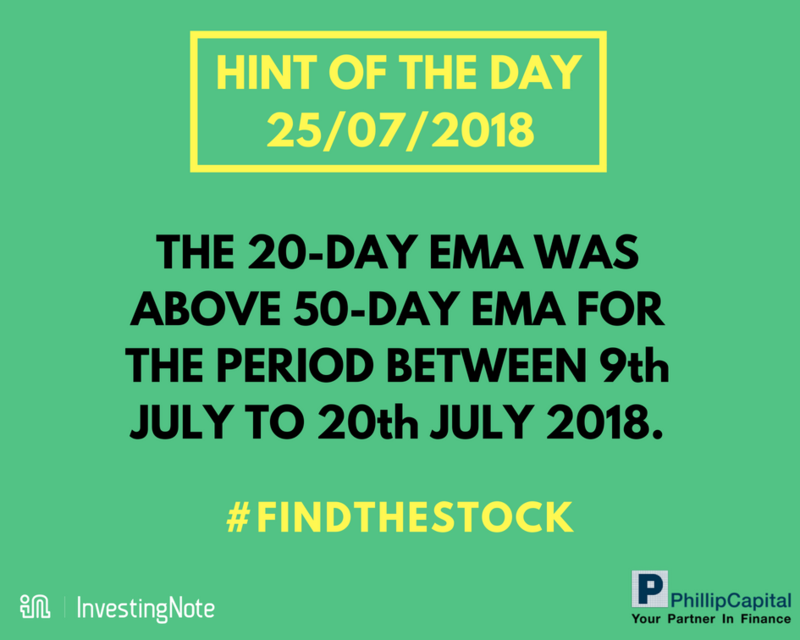 #FINDTHESTOCK Challenge has officially ended! 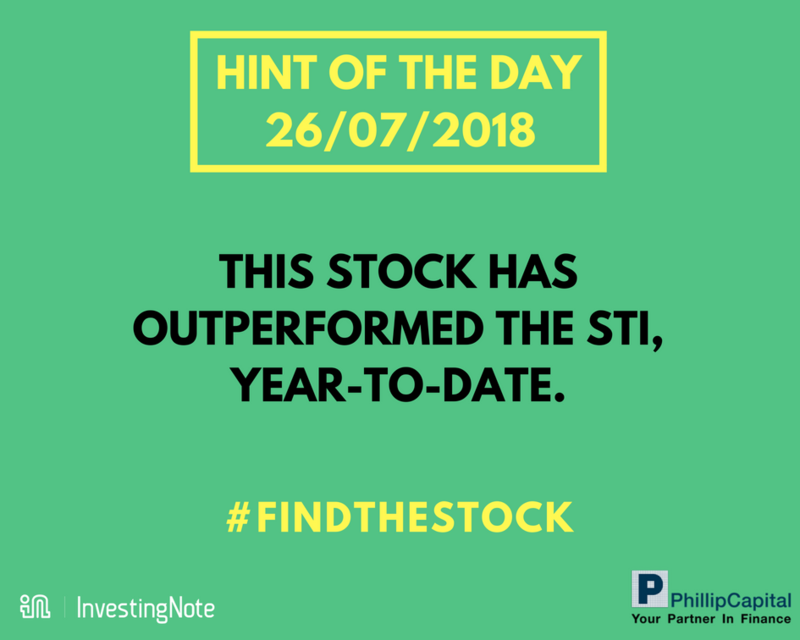 The correct stock is….. Sheng Siong! 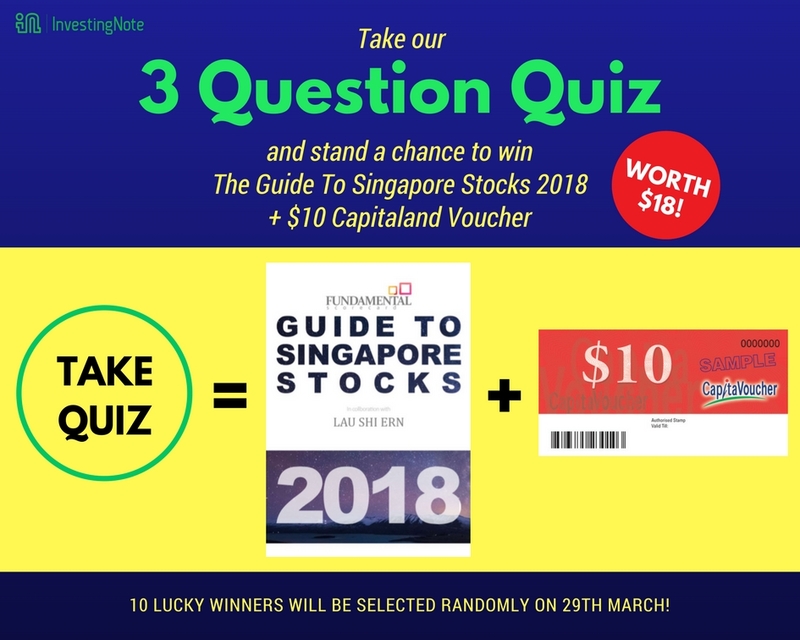 All those who have Sheng Siong in their answers submitted via the FB messenger link will be eligible for the draw! As we have hundreds of participants, we will be selecting the winners randomly over the next few days. If you receive the FB message from us via messenger over the next few days, you are a winner! Thank you everyone who participated in this campaign! 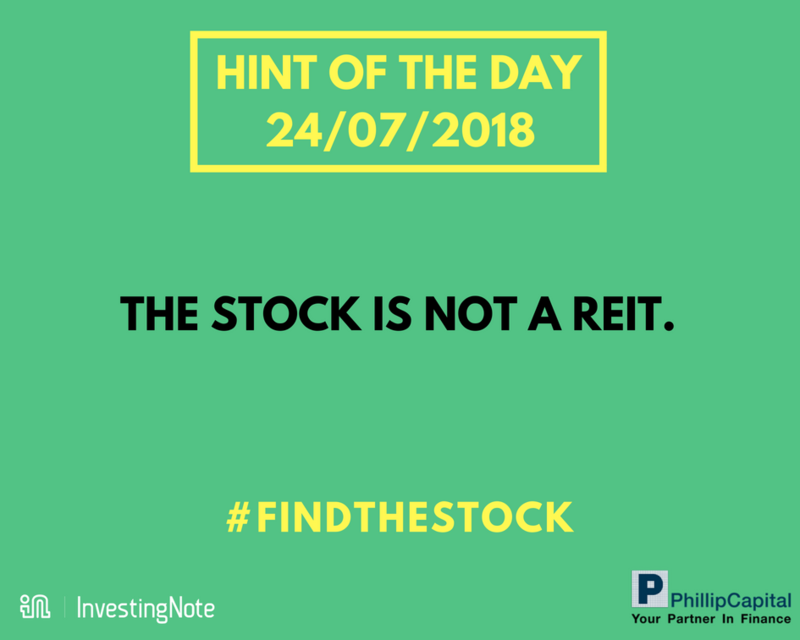 LAST 2 HINTS OF THE DAY (27/7/18) FOR #FINDTHESTOCK CHALLENGE! 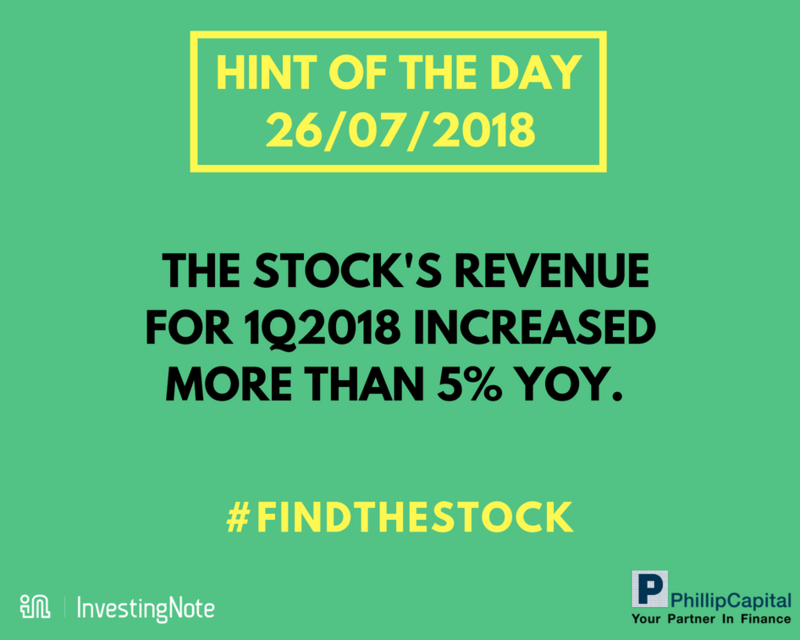 Which stock do you think it is? Just try your luck as you can try more than once! 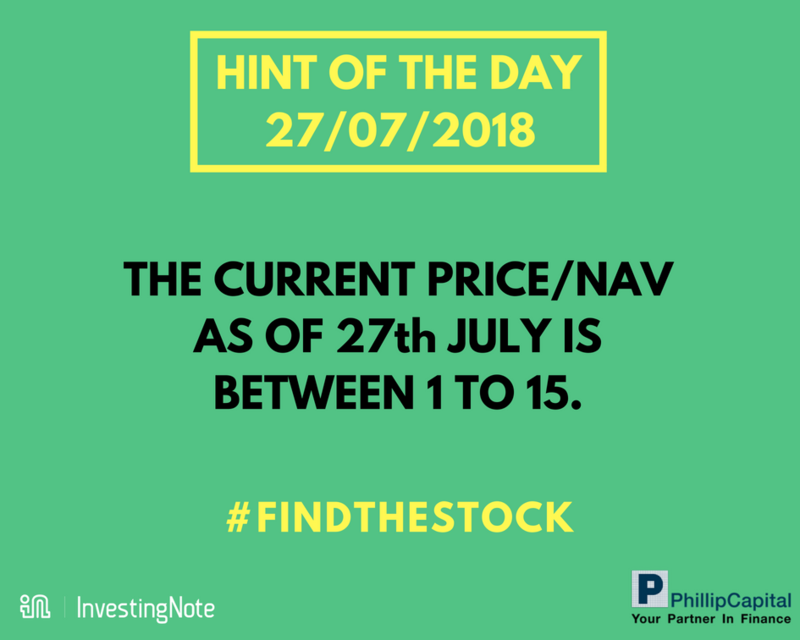 YOUR 2 HINTS OF THE DAY (26/7/18) FOR #FINDTHESTOCK CHALLENGE! 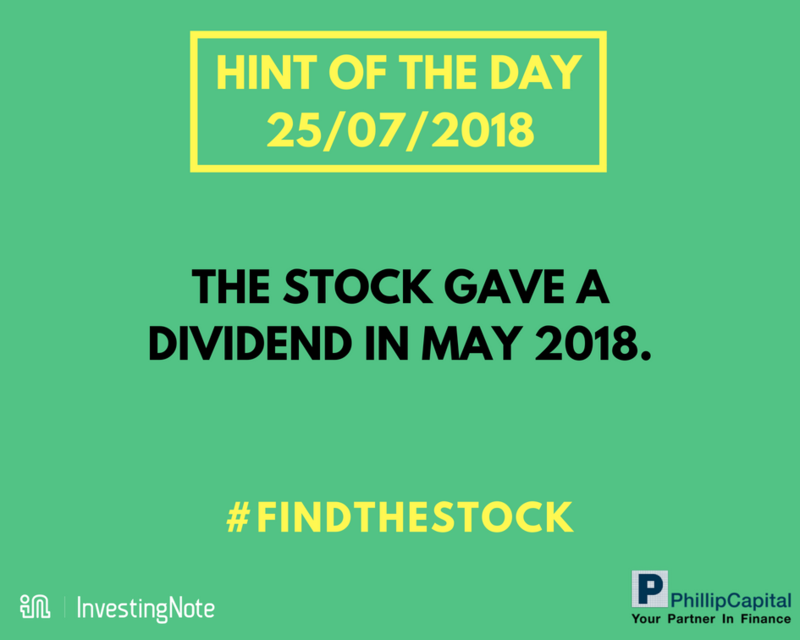 YOUR 2 HINTS OF THE DAY (25/7/18) FOR #FINDTHESTOCK CHALLENGE! Think you’re a savvy investor? Take our simple 3 question quiz and see if you can get all correct! 3. Increase your chances by sharing the link* with your friends for them to take the quiz! Giveaway ends on 29/3/18, 12pm. 10 winners will be selected randomly and contacted by our team. You don’t have to get all questions correct to be selected as a winner. Download our free top-rated app and you’d instantly be included in our mailing list for the latest happenings and workshops. It’s free and easy to do so! We’re connecting investors for better investing outcomes.